Hello Honeybees and fans! Welcome to another weekly wrap-up on David Archuleta. And what a week it was: sixteen (16) days left for Christmas from the Heart, David’s real cute marathon blog (that’s the runner in him), and Red Eye again! Was he trying to imitate Bullseye?? And we have the fabulous aftermath of the ALMA Awards performance, polls to vote, and auctions galore. My head is spinning with all the action and I thought this was going to be a slow week! Buckle your seat belts for the fast and furious ride through David Archuletaland!!! Enjoy and have a great week! Even if you are not typically a fan of Latin music, this is a performance to see. This year’s ALMA (American Latino Media Arts) Awards were televised last Friday and featured a stunning performance from former American Idol runner-up David Archuleta. He won the award for Male Music Rising Star. When David Archuleta started to sing it quickly became obvious why he was deserving of such an accolade. He performed the song “Contigo en la Distancia.” The song is most closely associated with Mexican Latin pop star Luis Miguel. Now 18, David Archuleta sings with impressive maturity in voice and demeanor. This is one of the best performances of his career to this point. Look for a Spanish language track on David Archuleta’s upcoming Christmas collection, Christmas from the Heart. 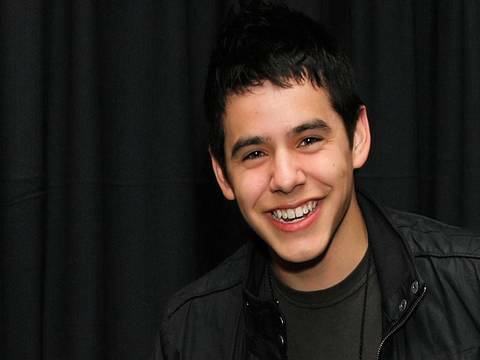 David Archuleta, who got the Year In Music ALMA Award, has opened up about the honor and performing at the award show. The “American Idol” alum revealed that it was his first performance at an awards ceremony and his first time singing in Spanish on television, so he felt pretty nervous. He sang “Contigo en la Distancia.” He was happy to perform for the Latin people because his mom has Hispanic roots. And he thanked ALMA Awards for giving him the chance to perform and for the award he received. David has been chosen to receive a Donvan Award!! Now, I know you’re all shaking your heads, saying “who?” “what?” Let me explain. John Donvan is a very accomplished and respected correspondent for ABC’s “Nightline”. He’s received accolades for his work covering the war in Iraq, and has also won two Emmy Awards. Mr. Donvan took to his Twitter recently, requesting that people nominate who they think is the best role model for kids these days. That’s a no-brainer, am I right?! David Archuleta, of course! So David’s loyal, wonderful fans went to work and bombarded Mr. Donvan with tweets about David’s exemplary character, his charity work, and how he inspires those around him to become better people. Mr. Donvan read the tweets, did some research, wholeheartedly agreed with the Archie fans, and VOILA! David is now the recipient of a Donvan Award! Congratulations David—you certainly deserve it. I wonder if this means David will get a little TV time?? I sure hope so, but if not, it’s still special that he is recognized for something other than his beautiful voice. David Archuleta the Family Man! This is why he is such a great role model for everyone! Thanks to Archuleta Fan Scene for sharing some great photos! They were taken when David spent some quality time with his extended family in California this month. 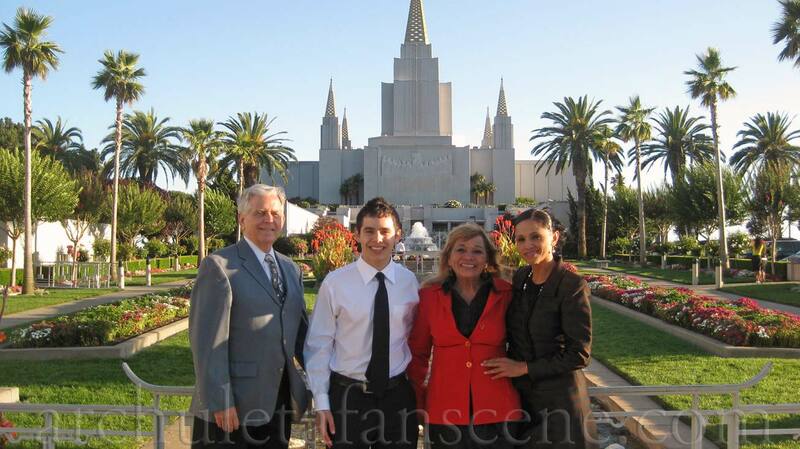 See more pictures—big ones!—of the Archuleta family at Archuleta Fan Scene. DavidArchie- I hate lacking creativity! Work brain! Work!!! DavidArchie -“Are you who I think you are?” I say maybe. “Ricky Archuleta, you’re Ricky Archuleta, right?” I say so sorry. She walks off lol. DavidArchie – My brother has his learner’s permit weird. He’s driving right now. lol. DavidArchie – So it’s the first day of Fall! Tis the season of leaves changing colors and then raking them. DavidArchie – Every time I go running, my mouth and body craves pure juice! I want some so bad! DavidArchie – At the health food store, and I Came Around – Amie Miriello just came on! Don’t you knoow there are days when it hurts so bad. DavidArchie – Why are the mornings getting colder??? Noo!! DavidArchie – I need to get sun block. My farmer than is coming back. DavidArchie – No way! Fan mail from Alaska! I finally got letters from all 50 states!! Lol. DavidArchie – Wow, I don’t handle jalapenos very well. Lol. DavidArchie – idk why I’ve been so tired lately, but I’m about ready to pass out! I was in bed by 10:30 last night. weird..haha goodnight! DavidArchie – Hm. Pretty sure a bird just flew into the window lol. DavidArchie – There was a class going on a walk for a field trip. When I ran by they counted to 3 and said “we love you David” Aw haha. DavidArchie – Tried out the neti pot to clear me out. Now time to learn and practice some songs! DavidArchie – At the ASCEND Aliance charity event. DavidArchie – Just went to the circus! Way cool! Bah! I slept in today! So Far Away’s on the radio though! Doesn’t anybody stay in one place anymore. Yes!! My mom just found my camera!! It’s been missing since LA! It was in her purse lol. Benton is a cool French-speaking/singing cat. Michael Johns is up next! Here in Salt Lake again I love this city. At The Murray tonight and my bud David Archie is coming down tonight will be good to see him. Where’s Waldo? Alright, enough is enough, where are those CCCCCCCONCERTS DDDDDATES! Don’t they know we can only take so much! Waiting, waiting, waiting!!!! I really need to start planning my flights and will they have VIP meets and greets, a person needs to know!!!! I already bought my red Christmas tennis shoes to wear!!! Please, please Mr. Concert Man, show me some dates!! Concert tonight at the Murray Theater, Murray, Utah: Benton Paul, Brooke White, and Michael Johns. You-know-who will show up! Hurry to E-Bay for this Crush MS auction which ends today! A David Archuleta-signed Quilted Wall Hanging with Pig. Bid until Sept. 27, 2009 18:29:49 PDT. From our very own Honeybee Katheryn a list of polls to vote on. Go get ’em Honeybees!!! Please vote on People Choice Awards and post a buzz poll yourself. Don’t forget to go to YOUTUBE and play David videos! Despite my absence, I have received numerous emails about David Archuleta’s outstanding and inspiring performance of ”Contigo En La Distancia” (With You While You Are Away) at the 2009 ALMA Awards. Let me just say that, if you have not seen or heard David’s Spanish number, you are in for a very memorable musical treat. David’s artistry continues to enfold and soars to remarkable heights during the performance of this song. Oftentimes, the refinement of his technical skills astounds me – he never veers from the proper technical approach in his singing style. Yet, at the same time, his voice sounds fluid, relaxed, liberated and soulful. His Spanish pronunciation is exquisite and meaningful. He feels every word, every nuance and, thus, is the key to David Archuleta’s musical gifts. He is a vocal narrator of the highest order and makes absolutely certain that his musical heart and passion reaches the center of our soul. And, did you notice the depth of his lower range at the beginning of the main section of the song, as he sang the words “No hay bella melodia”? The rich timbre of his baritone voice has definitely increased in volume – just gorgeous. This will continue to grow and flourish with each passing year. In closing, the strong visual and aural presentation of this song was extraordinary. It’s not even October and pre-orders have taken DAVID ARCHULETA’S upcoming Christmas album to the top of the Amazon holiday charts. Set for release on 10/13, the album features 13 songs, including holiday classics, a duet with CHARICE PEMPENGCO and a ‘melodies’ track written by DAVID and his father, JEFF. “Buenos dias! I got to perform at some pretty cool events last week, but I think my favorite thing was that I got to spend the week with my mom. The beginning of the week, I was in New York as you probably know. I got to sing at the Tennis US Open, and sang America the Beautiful. It was awesome having the marines unfurl the flag and seeing them! Just think it’s awesome to have all those men and women serving our country, and doing what they do. It was my first time going to watch a pro tennis match, and it was actually way cool! I went to a men’s semifinal and that was pretty exciting to watch. Our next stop was in LA for the ALMA Awards! It was my first performance on an awards ceremony, and my first time performing on TV in Spanish! I have to say I was pretty stinkin’ nervous lol. It’s interesting actually because I was pretty nervous for both the US Open and the ALMA Awards. I think it’s good though because it gives you a little extra push sometimes. They make you want to do better, and also make it more memorable. So if you ever get nerves, don’t think that it’s a bad thing. They help you to keep working hard and improving yourself. I feel like when there are absolutely no feelings of being nervous, or I guess I should say there isn’t a desire to do well, you don’t motivate yourself to do your best and improve! You need to have some kind of motivation. But anyway, I had plenty of nerves over those performances lol. I sang Contigo en la Distancia, which is one of my favorite songs to sing so I’m really glad I got to sing it. I was so happy to be able to do it for all the Latin people too! I owe so much to the Hispanic culture since my mom and all of her family are Hispanic, and it’s definitely had a huge impact on the way I am. So I’m definitely planning on doing more in Spanish, and I hope this will allow more opportunities. So I need to thank the ALMA Awards for having come and perform, and it was really exciting to receive an award for new artist too! So I’ve gotten to spend time at home after the performances, and now that I’m not having to rush with tour or finishing an album, I’ve been able to spend some more time with my family! I already had my mom come with me to New York and LA which rocked, but I went running with her twice! I haven’t gone running FOREVER! It feels sooooo good though! I neeeeed to do it more often. I’m tired of not having the pleasure and joy of running in my life lol. So I’ll be doing it more often. I try not to do it a whole lot when I need to sing a lot, because for some reason it wears my voice out. But things are pretty laid back now and I’ll mainly be trying to work on writing for the next album and just planning upcoming things, like the Christmas album release! I’m so excited, and nervous haha… for it to come out!! It’s coming out October 13th so I really am stoooked! I haven’t heard the final mixes of the songs yet lol, but I will get to soon! All right, the last thing I’m going to tell you about is that I went to see the Utah Symphony last Saturday. It was pretty amazing actually! I really haven’t listened to a whole lot of that kind of music, but I was just so drawn into it. They are incredibly talented! It made me appreciate classical music so much more, and the emotion in the music is so moving. So I’d highly recommend that if you ever get the chance to go to a symphony… go! It’s worth it if you pay attention to the feeling in the music and the playing of the musicians! I really hope I can go again sometime soon. But anyway, that is all I have to say for today. I’m planning on going to Nashville pretty soon to start working with other writers, and I can’t wait! I don’t know the Nashville scene all that well so I just need to find some writers that I’d feel good working with and are willing to be patient in working with me lol. But I really am stoked! A lot of people think Nashville is just country, but there is a lot going on over there with all kinds of music with some really talented people. I’ll keep you posted though! But for now I shall talk to you later! Our very own Robin711 and I went to the David/Demi concert in Las Vegas and her mother and husband also joined us. Robin’s mother was so sweet and told us many exciting stories about her fan girl’s times following Tom Jones around much the way we have done with David Archuleta. She was a delight and told us she really liked Cook but she was excited to see David Archuleta. As you will read, her opinion totally flip-flopped and she is now a total fan girl of David’s. Oh by the way Robin’s husband got into the act and loved David as well. We get them one at a time! Haha! Read Robin’s story. My mom is in her late 70s and has been a huge music (particularly Tom Jones) fan for over 40 years. I got her to watch Idol the year of the Davids and she really liked David Cook, even downloading his songs. I brought her with me to the David/Demi concert in Las Vegas this summer and she couldn’t believe how talented he was and said that he was really better than David Cook (of course I had been telling her that for a year but maybe seeing is believing!). After the concert, she downloaded several of David’s songs and videos. Then she called me excitedly on Monday asking if I knew that David was on the ALMA awards and that he sang like an angel. She couldn’t get over the range and emotion and she knows that Spanish is not his first language. She said the song reminded her again how much more versatile and talented our David is over Cook. This shows all you have to do is get someone to listen and they will fall in love with David! Stadium of Fire Wants your Vote! PROVO — Organizers of the popular Stadium of Fire Independence Day celebration are now asking the public to pick the show’s next performers. People can take part in the “Vote the Voice” event through social-networking sites Facebook and Twitter. Fans can suggest any celebrity or musical act to host or perform during the Freedom Festival next summer. A primary vote concludes Oct. 15. The final vote will take place in December. Organizers say they will “work hard” to book fans’ favorite performers. Go and vote for David Archuleta as favorite performer for next year! He may not have won American Idol, but David Archuleta definitely stole our hearts. Check out these hot pics of the singer. Some fans have noticed in some pictures that David had a teensy weensy bit of stubble. How hot is that? Honestly pikepss , I can’t thank you enough for your great job filling me in all that happens with David every week. You never miss a thing and I love reading and viewing it all. Amazing job! I don’t know how you do it, but I am so glad you do because I am able to catch up on everything in one sitting. 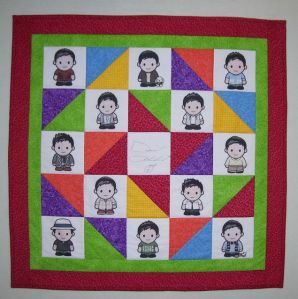 Also wanted to mention the quilt that is up for auction on E-bay, it was made by my dear friend Gail. She is very talented and makes all her creations from the heart. She admires and enjoys David and his music very much! Thanks for showcasing that.